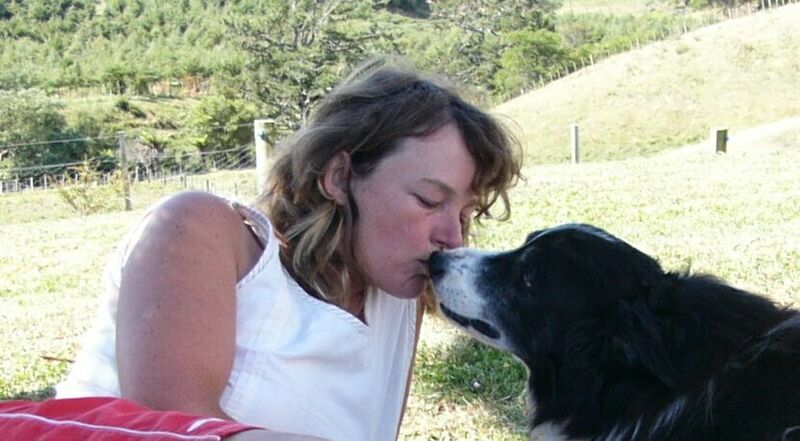 In 1988 I was away on my big OE and I spent some time in Capetown South Africa living with a beautiful Border Collie who had just had 8 pups. Little did I know that was the beginning of my passion for these wonderful dogs. Settled back in Auckland New Zealand in 1994 my partner Greg took me “shopping” one day and home with us came Little Black Sambo. A year later I decided he needed a playmate and along came Jessie Bear. 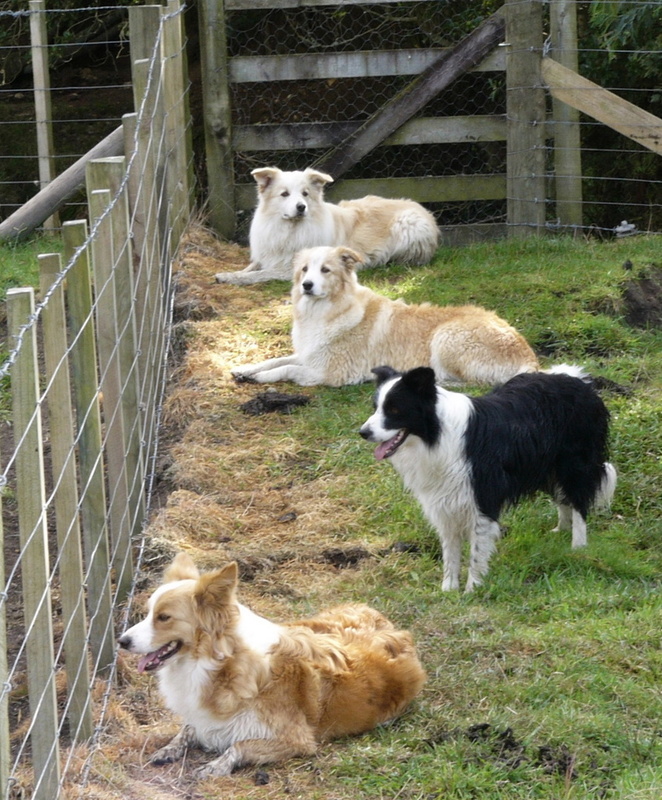 We had a fairly small section and Border Collies are active dogs so they kept us busy with daily walking and entertaining. Lots of beach walks which they loved and they went everywhere with us. We moved to Invercargill in 1999 and we all loved the fabulous bush walks and the huge open Oreti Beach. Sambo decided he didn’t want children so we found Jessie a boyfriend and had pups in Nov 2000. They were too cute for words and Mr Kodak made a fortune out of me!! We kept two, who are the bestest of friends Tyler and Jasper. Having two is so neat – you spend hours just watching them play together, yet they still love their one-on-ones with us. My favourite part of the day is the morning ritual when they all come up on the bed for a cuddle. 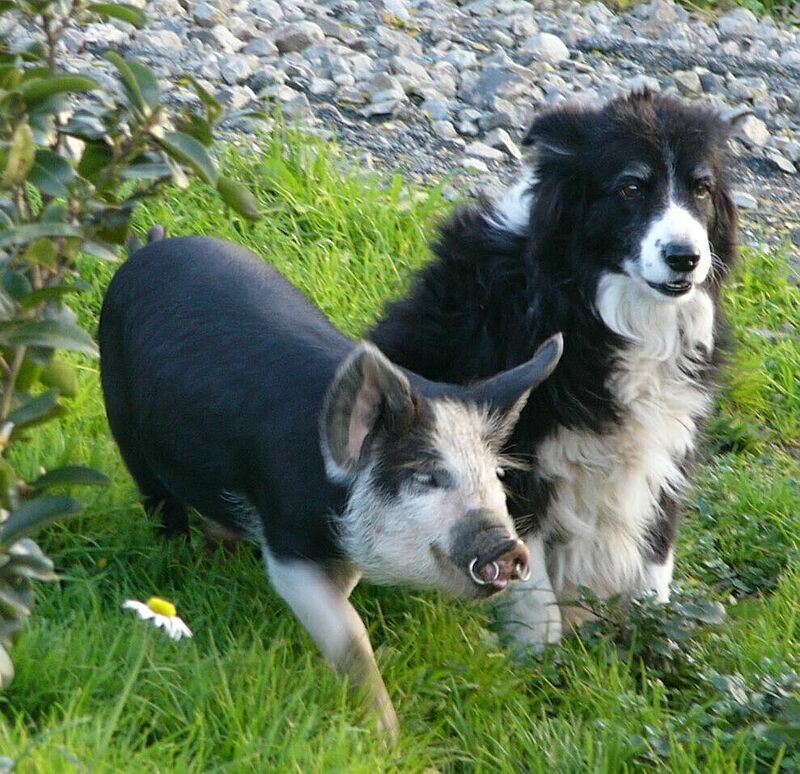 2001 we moved to the Bay of Plenty and bought 13 acres of border collie paradise in Katikati. 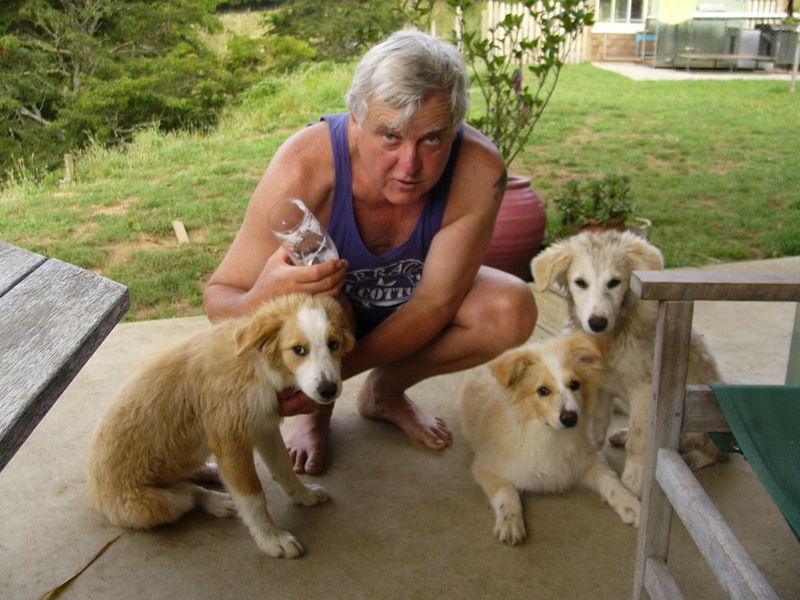 2003 my love of these dogs is even stronger and we bought in future partners for Tyler and Jasper – Brucie and Maddie. 2005 we lost Sambo which was devastating to say the least. 2006 Charlie arrived into our lives and then we kept Trinity in 2007. 2009 Our next big blow when at age 14 Jessie bear died. 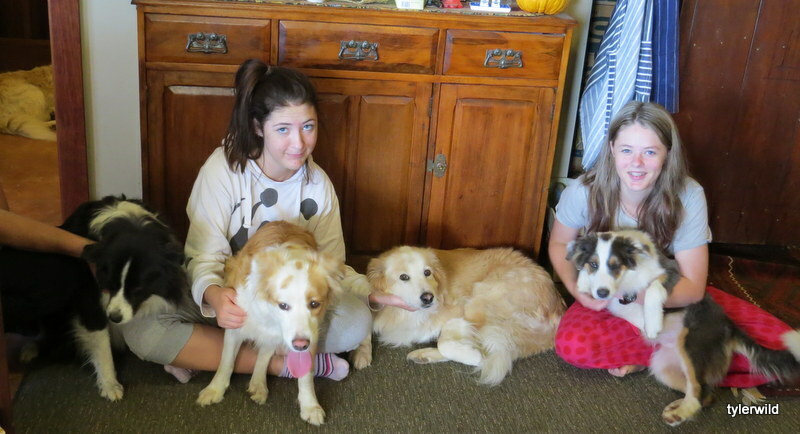 October of that year we kept 2 litter mates, Jessie’s grand-daughters from Hoons & Maddie. Both very wild & sadly we lost Moet due to an accident. My dogs are my babies, they sleep in baskets around my bed (and often on my bed!). My house is their house, their couch is my couch! I have a wonderful relationship with every one of them – they are loved and cuddled every spare moment of the day. And Greg loves them too even if he does get a bit gruff at times!!! Trinity had 2 litters & we then retired her due to difficult births. We have Tui to keep on her lines. Tui is like her Grandmother Tyler in nature.FANTASTIC!!! And our baby Sue is a honey.. A blue tri. 2014 I have four generations now. Tyler, her daughter Trinity, her Granddaughter Tui & now also we have Sue, Tui’s daughter. The photo is Trinity, Tui, Tyler & Sue with the assistance of Casta & Maia.. thank you ladies.. They are all NZKC certified. DNA tested clear for CEA & CL & TNS . I don’t show them as it would put the others to shame!! I may be a little biased!! The puppies are introduced to new and different things from the day that they come into my life. 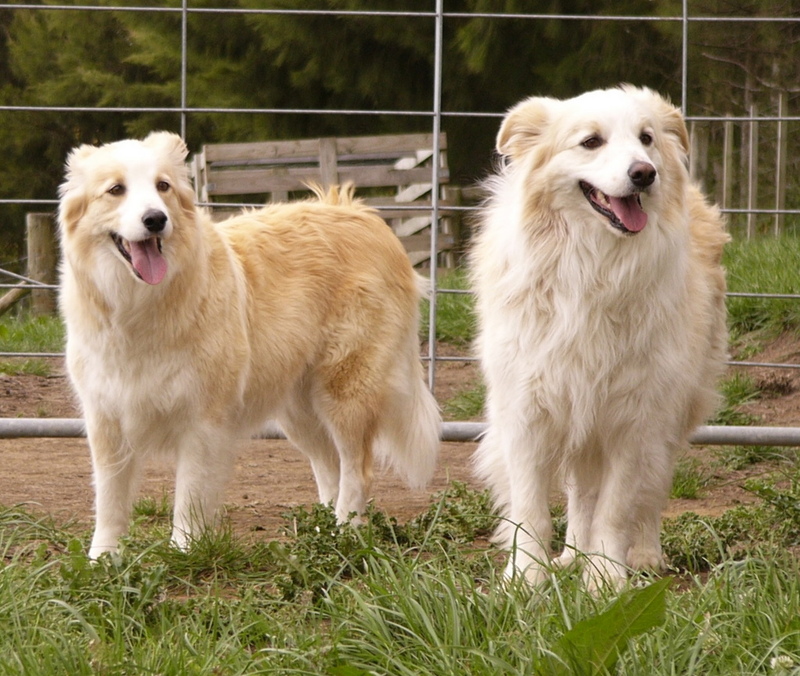 Most importantly they are loved and well handled and are balanced happy dogs. Parting often brings many tears but over the years I have now made & met so many wonderful people it is a pleasure to see them go to new & loving homes. It is my old dogs leaving the world that now really breaks my heart. Cant wait until Lucy and I can bring our beautiful red boy home. He will be sick of having to endure all the kisses and cuddles he is going to get! My partner Jeremy has surprised our family with the news we will be welcoming one of your pups into our home early January. We are all very excited to meet the wee fella and I think he is going to be very spoiled by us and the extended family. Looking forward to the pics of him. I’ve been having a nosey through the pics and your dogs are beautiful. 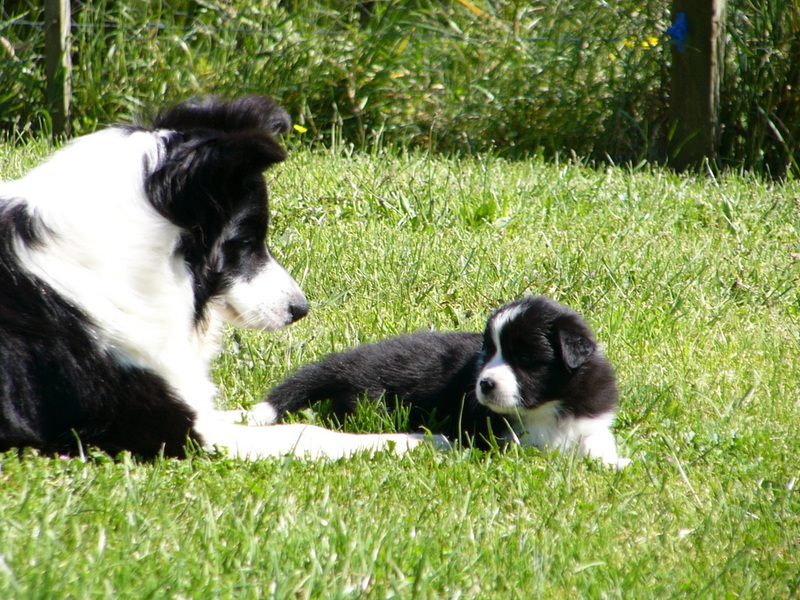 We have been set on a Border Collie for a while now. Thank you so much! And he will be very good looking to boot!! I have sent Jeremy more photos today so I hope he’ll share them with you.